Today, they are the source of ‘all conspiracy theories’ they are the inspiration behind many fiction novels, movies. 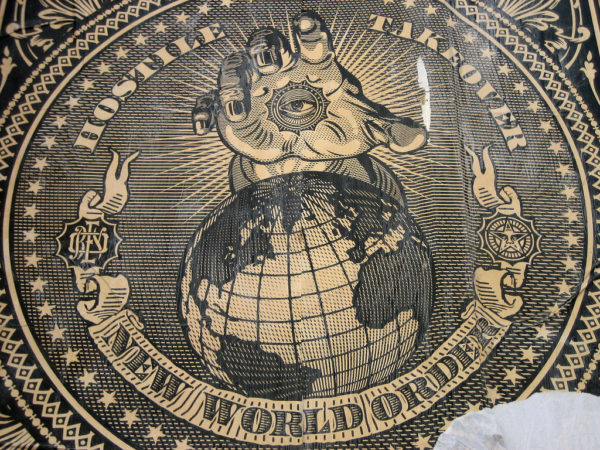 Illuminati is considered as the secret organization that is really controlling the world, pulling strings from behind ‘the scene’ and steering the world towards a New World Order. But this all started back in 1776, Ingolstadt, Germany by a man named Adam Weishaupt who was a respectable professor. Adam Weishaupt’s idea was creating a better world. As a boy he was an avid reader, consuming books by the latest French Enlightenment philosophers in his uncle’s library. He was convinced that the monarchy and the church were repressing freedom of thought. Adam Weishaupt was not, he said, against religion itself, but rather the way in which it was practiced and imposed. 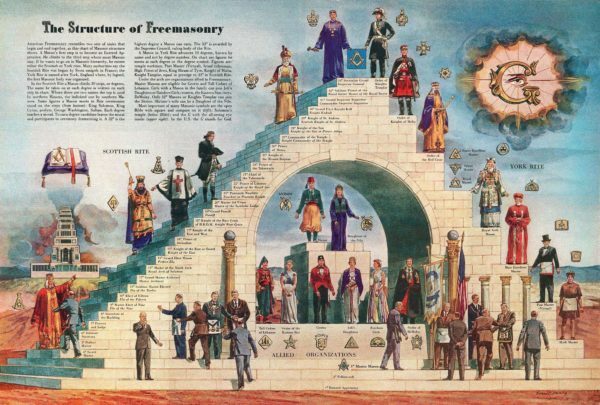 In this period Freemasonry was steadily expanding throughout Europe. This secret group offered appealing alternatives to freethinkers. Adam Weishaupt wanted to join this lodge, however, he decided later to create his own. 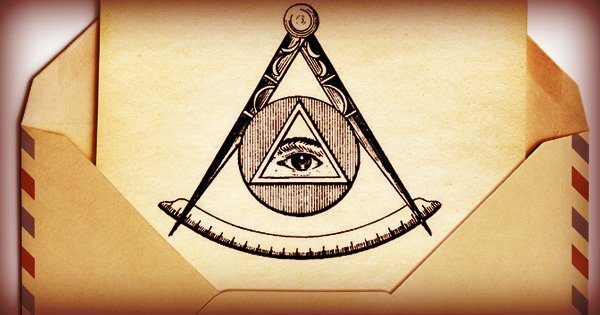 On the night of May 1, 1776, the first Illuminati met to found the order in a forest near Ingolstadt. Bathed in torchlight, there were five men. There they established the rules that were to govern the order. At the beginning the order had only 3 levels: ‘novices, minervals, and illuminated minervals…’ The name “Minerval” referred to the Roman goddess of wisdom, Minerva, reflecting the order’s aim to spread true knowledge, or illumination, about how society, and the state, might be reshaped. A novice preparing to pass to the higher level of minerval, for example, had to present a detailed report on the titles of the books he owned, the identity of his enemies, and the weak points of his character. All members had to pledge the needs of a society before their personal. Over the years the secret order grew considerably in size and diversity. 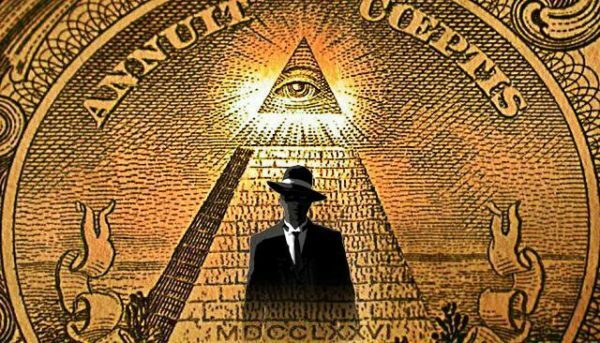 By the end of 1784, the Illuminati had 2,000 to 3,000 members. 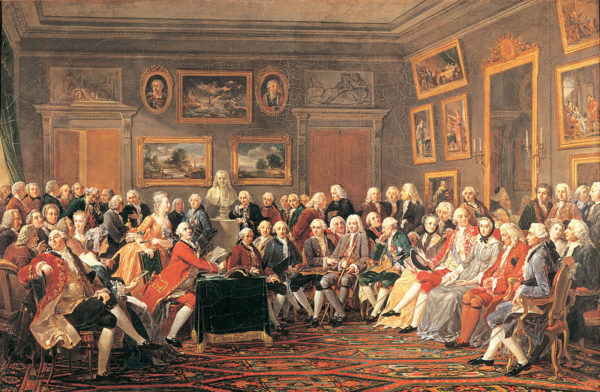 Although, at first, the Illuminati were limited to Weishaupt’s students, the membership expanded to included noblemen, politicians, doctors, lawyers, and jurists, as well as intellectuals and some leading writers, including Johann Wolfgang von Goethe. They included important people in Bavarian public life, such as Baron Adolph von Knigge and the banker Mayer Amschel Rothschild, who provided funding. Baron von Knigge played a very considerable role in the society’s organization and expansion. As a former Freemason, he was in favor of adopting rites similar to theirs. Members were given ‘secret’ names from famous history characters. Weishaupt was Spartacus, for example, and Knigge was Philo. With more members the number of levels in the Illuminati had to increase. There were 13 degrees of initiation, divided into three classes. Each novice was initiated in humanitarian philosophy until he became a minerval. He then received the order’s statutes and could attend meetings. The various degrees in this class were inspired by Freemasonry. The illuminatus major supervised recruitment, and the illuminatus dirigens presided over the minervals’ meetings. The highest degree of philosophical illumination. Its members were priests who instructed lower-degree members. The lower orders of this class were themselves under the authority of a king. The secret society stood for some controversial opinions. They considered that suicide was legitimate, that its enemies should be poisoned, and that religion was an absurdity. 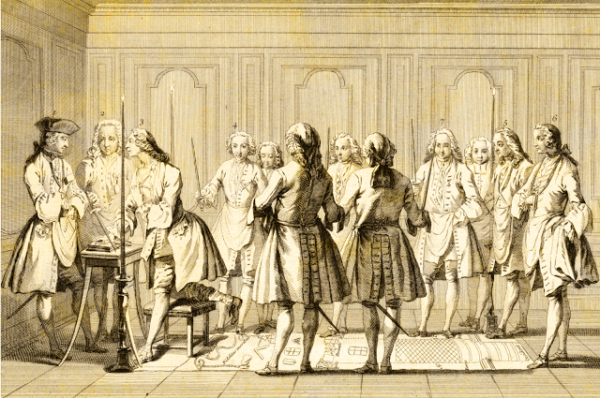 However, when the Duke-Elector of Bavaria found the secret society was planning to conspire against Bavaria on behalf of Austria, it was then when he issued an edict in June 1784 banning the creation of any kind of society not previously authorized by law. Bavarian police found highly compromising documents, including a defense of suicide and atheism, a plan to create a female branch of the order, invisible ink recipes, and medical instructions for carrying out abortions. The evidence was used as the basis for accusing the order of conspiring against religion and the state. In August 1787, the duke-elector issued a third edict in which he confirmed that the order was prohibited, and imposed the death penalty for membership. Adam Weishaupt lived the rest of his life in Gotha in Saxony where he taught philosophy at the University of Göttingen. The Bavarian state considered the Illuminati dismantled. Adam Weishaupt was accused of helping to plot the French Revolution. This was the start of a war that will give birth to some of the greatest money machines that still exist today. The secret society shifted its goals. They already had connections and knowledge. They didn’t need their society to be legal to exist. Members chose to use the connections for making more money and profit because they realized with enough money you can control the world. You can control the laws. You can establish your agendas without being conflicted by ‘less’ enlightened people’s opinions. The Illuminati have been fingered in recent events, such as the assassination of John F. Kennedy. Weishaupt’s ideas have also influenced the realms of popular fiction, such as Dan Brown’s Angels & Demons and Foucault’s Pendulum by Italian novelist Umberto Eco. Although his group was allegedly disbanded, Weishaupt’s idea still exists, pulling the strings. But this article raises one really important question. 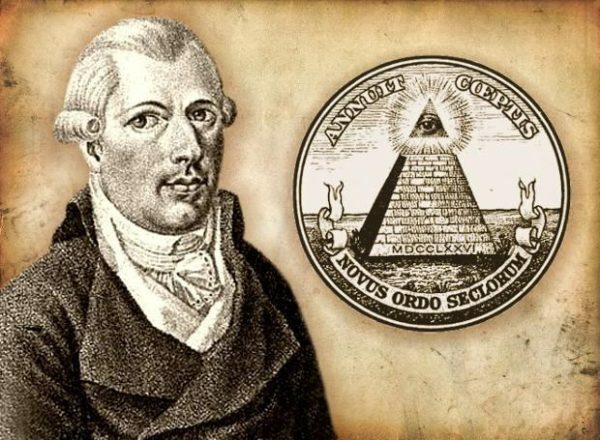 Considering Adam Weishaupt’s first intent ‘a state of liberty and moral equality, freed from the obstacles which subordination, rank, and riches, continually throw in our way’ is it possible for this to be achieved and integrated into a society where people are not fully awaken?